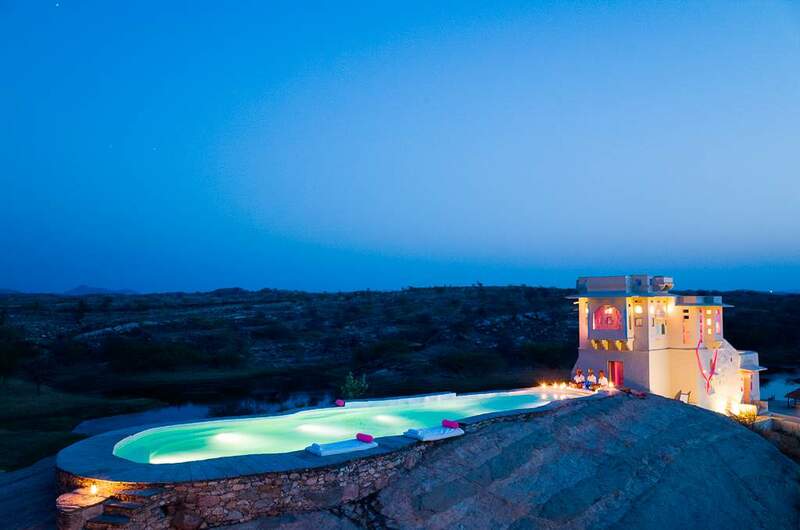 Sprawling over 32 acres, Lakshman Sagar, is a chic re-interpretation of a quaint 19th century hunting lodge.With 12 mud & stone cottages of about 900 sq ft, Lakshman Sagar has been meticulously planned and conceptualized basis the zero kilometer concept. 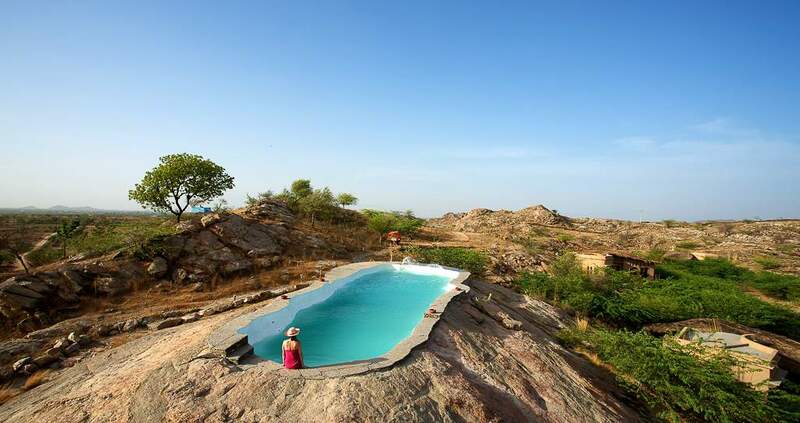 The well thought of activities & non-activities have been tailored personally for guests in a captivating natural topography ideal for mindless relaxation. 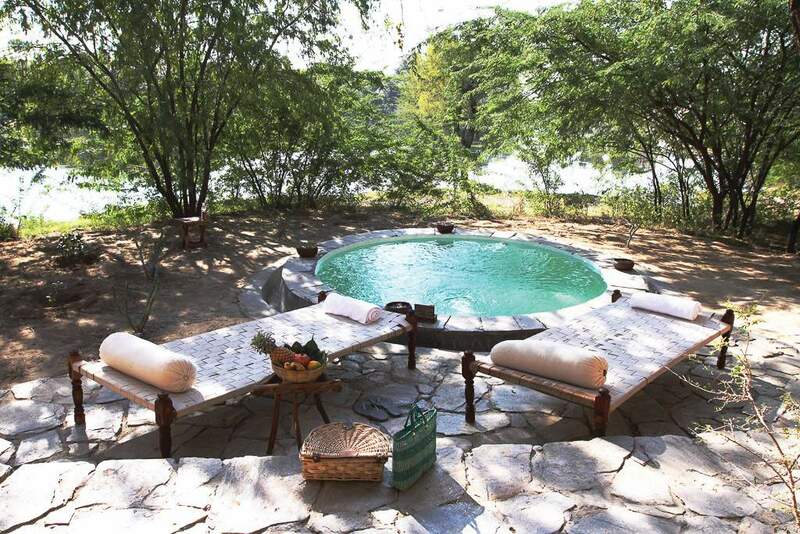 Each cottage has a private splash pool and provides a panoramic view of the Aravallis and the lake.While the Zanana and Mardana (dining areas) sections are perfect areas to lounge with a great view of the property, the itineraries are customized to the guest’s preferences which include activities like goat herding, breakfast in the fields, fruit & vegetable plucking, live cooking etc. 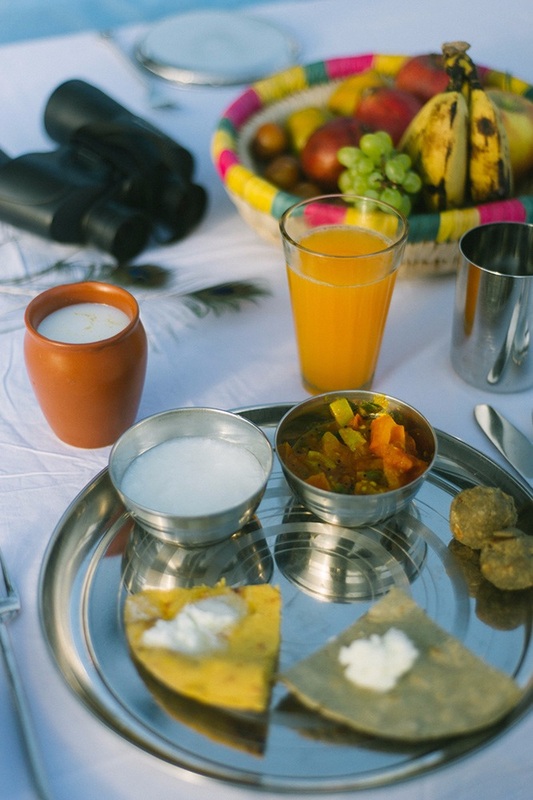 all of which are reminiscent of the local village culture.Situated approximately two hours from Ajmer, Lakshman Sagar lies 10 kilometers off NH-14 en-route to Jodhpur via Pali. 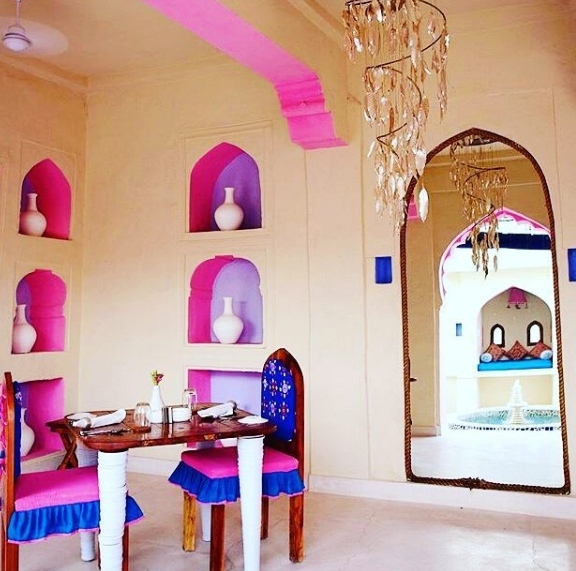 It is strategically located in the centre of the tourist circuit in the Marwar and Mewar region of Rajasthan.The closest commercial airport, Jodhpur, is about 2 hours away, while Haripur railway station is only 3kms away. We also provide a pick and drop facility from both locations. 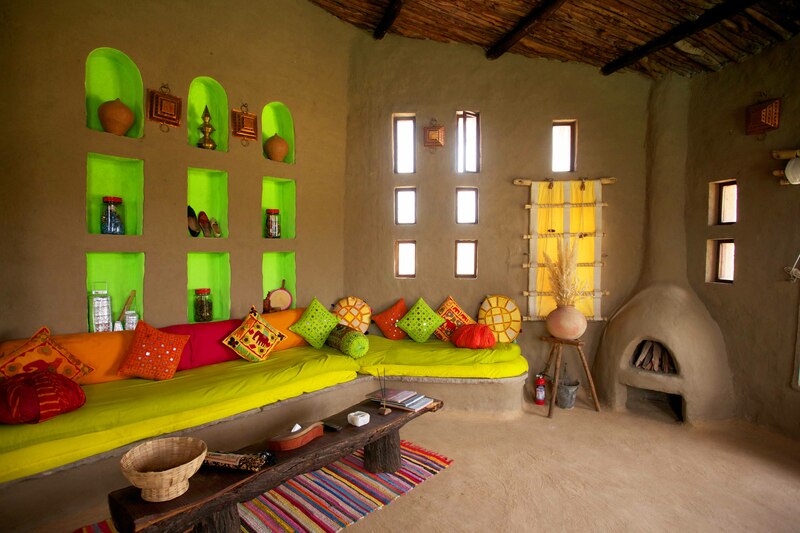 Individual cottages are fan-cooled and come with a seating area, minibar and tea/coffee making facilities. The en suite bathrooms include shower. Each room opens into a private splash pool. Morning harvesting at our on-site organic farms. 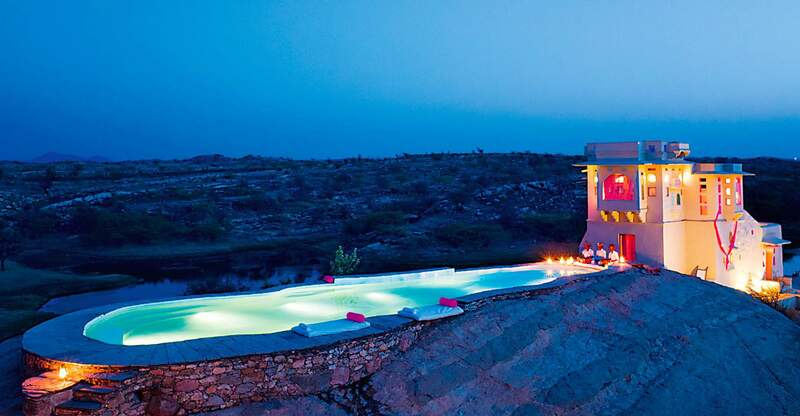 Lakshman Sagar is surrounded by scrub jungle which is very rich in biodiversity. 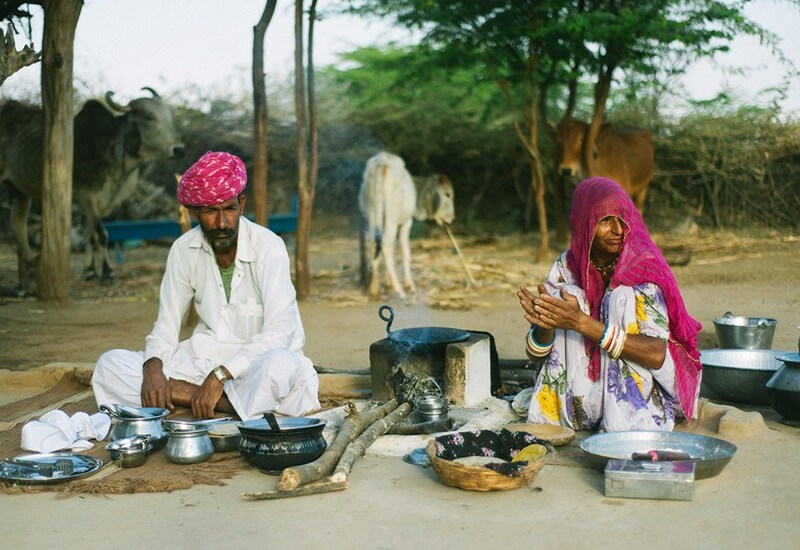 During August & September in the monsoons, the population of living creatures increases due to annual breeding cycles. This includes frogs which show up at times in the swimming pools and on rare occasions may also enter the room, all of which the team diligently tries preventing regularly. 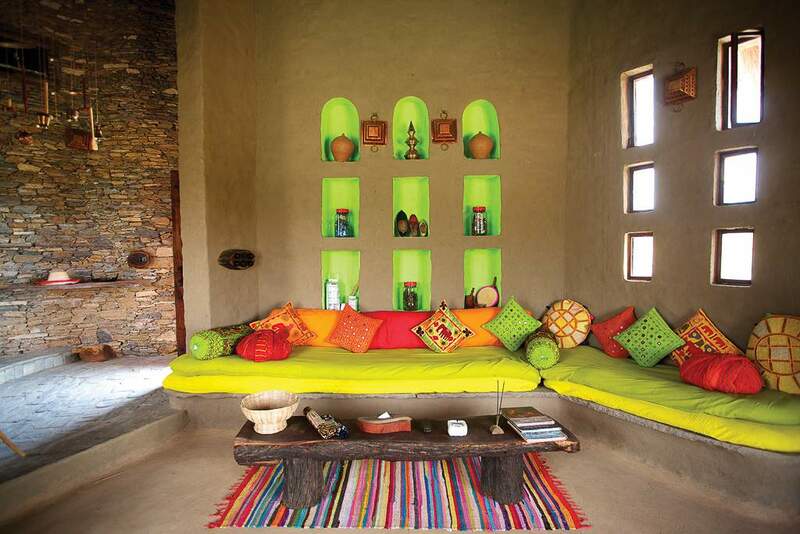 Insects are drawn to light and it is recommended to keep doors & windows closed at night. Occasionally snakes & scorpions may be sighted when moving around the property, guests are requested to remain aware of their surroundings at all times, and not venture out post sunset without an escorted resort member. Reservation must be cancelled 30 days prior to the planned date of arrival. 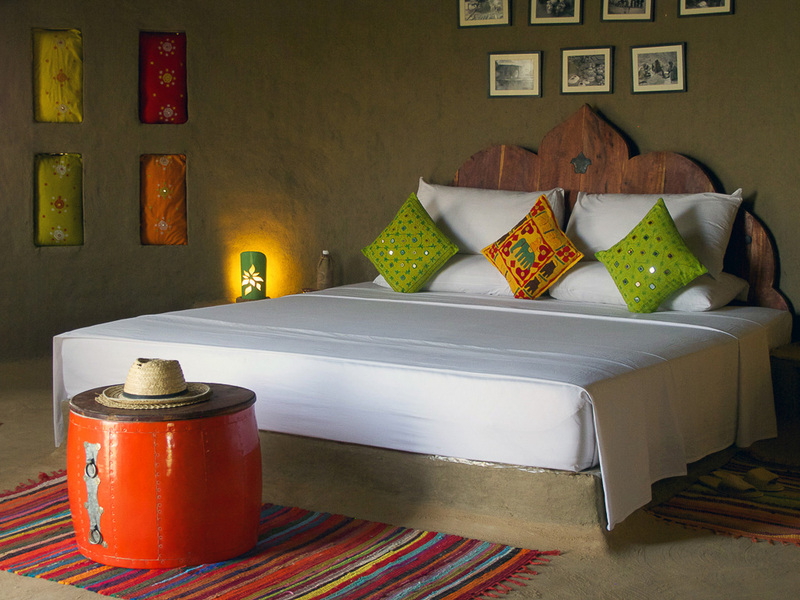 One night's stay will be levied for cancellations received up to 8 days prior to arrival. 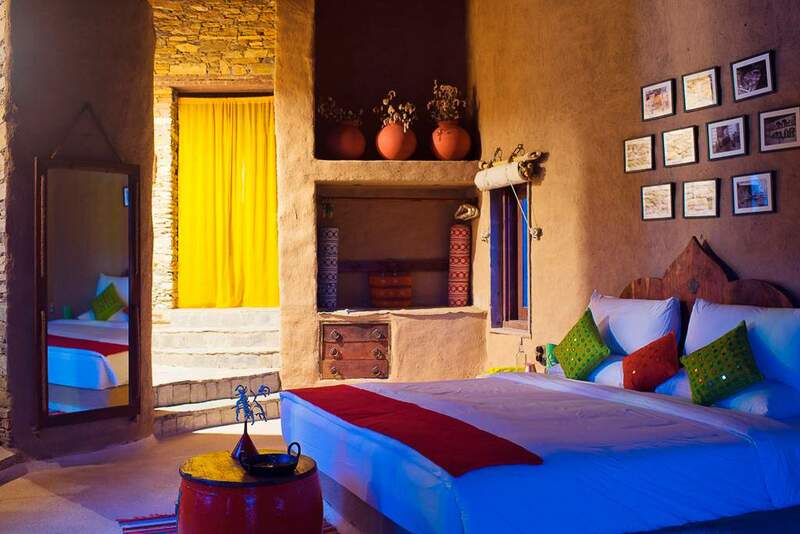 Full stay will be levied for cancellations received within 7 days prior to arrival. 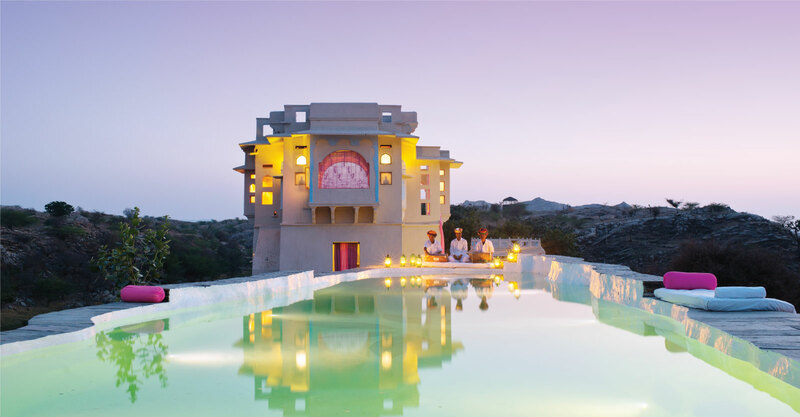 Lakshman Sagar is located in a hilly terrain. For reasons of safety, it is not suitable for children below 12 years. Therefore, as a policy we do not accept reservations for families travelling with children below the age of 12 years. If the guardian wishes to travel with a child below 12 years, a written letter stating the sole responsibility of the child should be submitted on arrival. 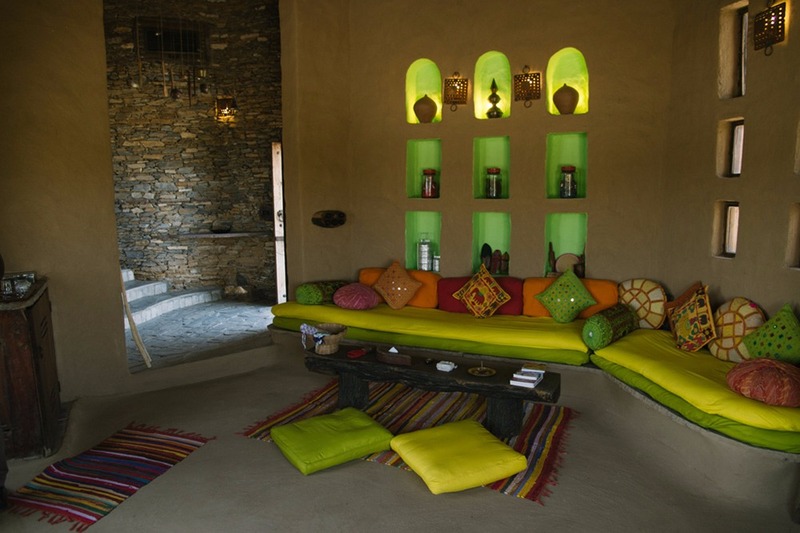 We do not have extra beds in Lakshman Sagar. All the 12 Luxury Cottages have King Beds. 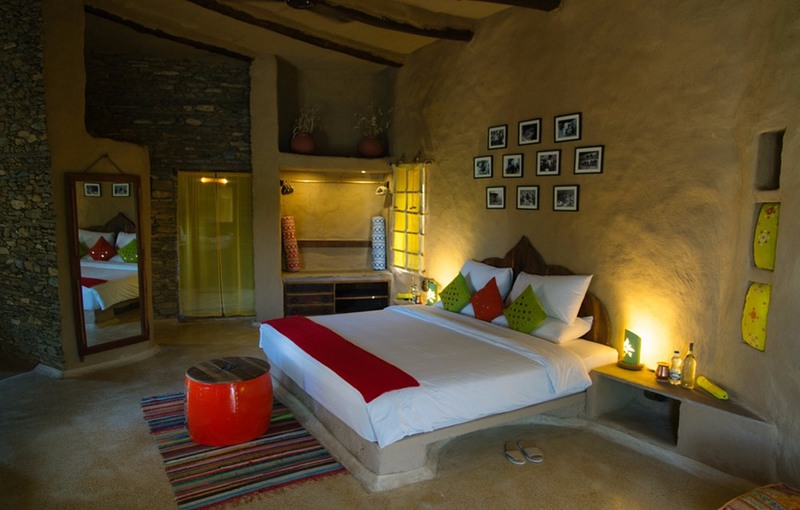 Twin Beds are not available in Lakshman Sagar however we can arrange Hollywood Twins on request. 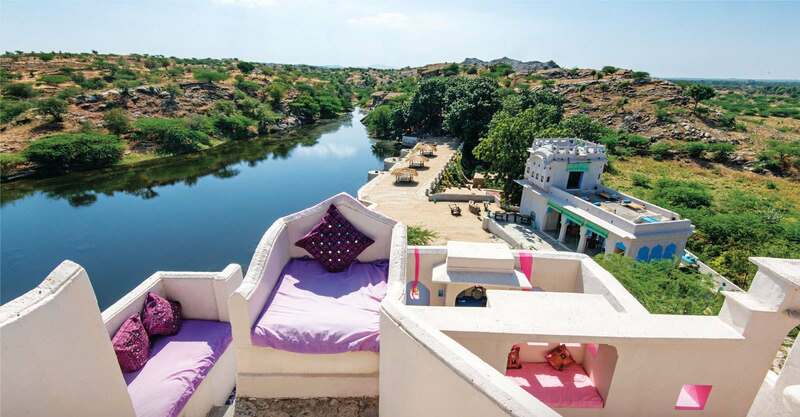 In the month of August & September as well as April, due to the general heat in Rajasthan and in case of hot temperatures in Lakshman Sagar as well, the cottages are well equipped with fan-pad air cooling system instead of air conditioners. 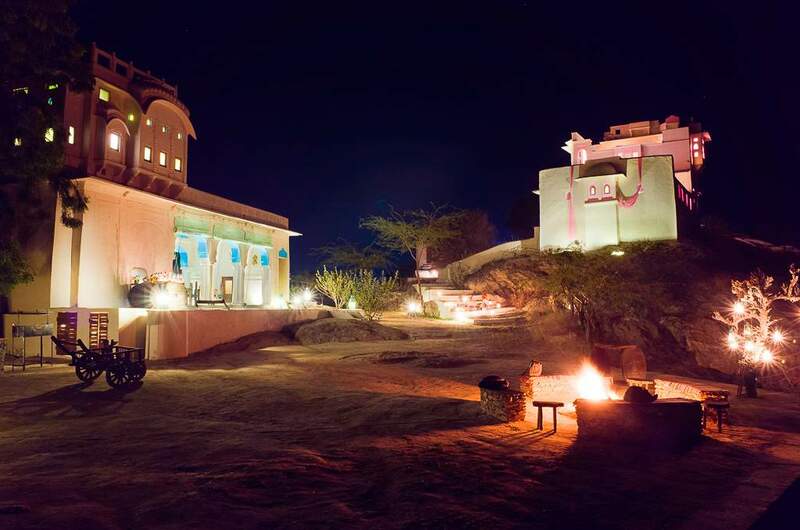 Situated approximately two hours from Ajmer, Lakshman Sagar lies 10 kilometers off NH-14 en-route to Jodhpur via Pali. 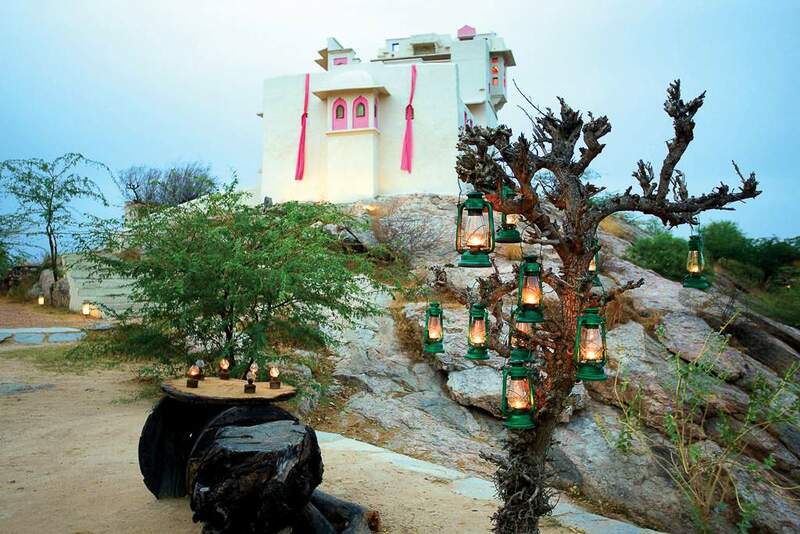 It is strategically located in the centre of the tourist circuit in the Marwar and Mewar region of Rajasthan. 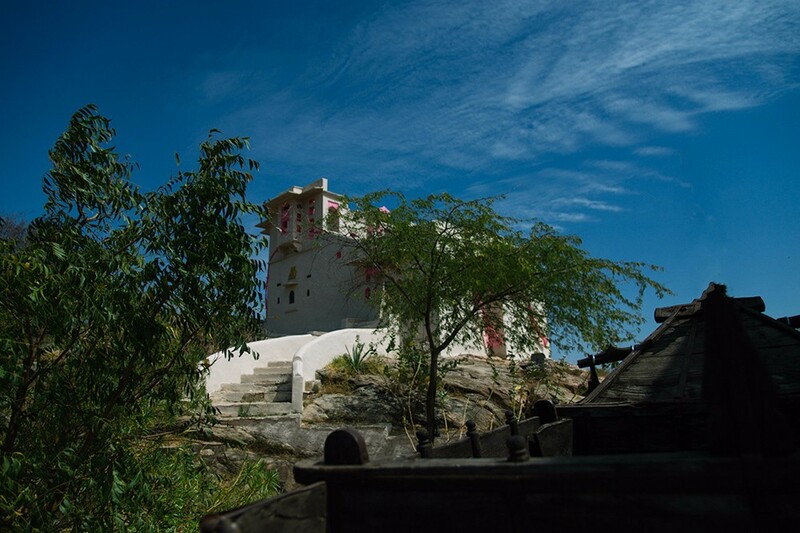 The closest commercial airport, Jodhpur, is about 2 hours away, while Haripur railway station is only 3kms away. We also provide a pick and drop facility from both locations.